This letter, written by University President Rev. 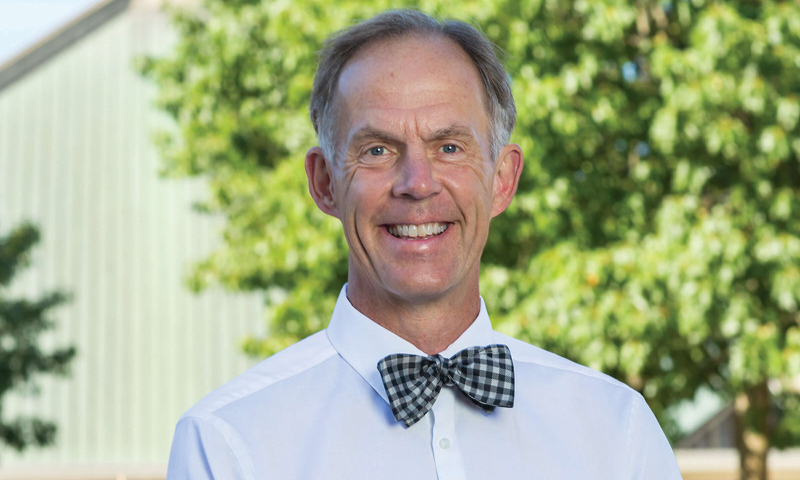 Patrick T. Ferry, PhD, first appeared in the fall 2018 issue of the Concordian, the official magazine of Concordia University Wisconsin. “In all these things we are more than conquerors through Him who loved us” Romans 8:37. Each year the students who serve in our Campus Ministry programs select a theme verse to give some direction for our collective reflection throughout the academic year. Each campus, Mequon and Ann Arbor, follows a similar practice, but the choice of verse and accompanying theme is selected independently based on what fits best for Wisconsin or Michigan. The decision is made without reference to the other campus. A quick online search reveals there are 31,102 verses in the Bible. Even omitting the ones that are more obscure, the odds of both campuses selecting the same verse for the same year seem remote. Nevertheless, it happened (remarkably the second time since our merger in 2013)! This year across Concordia University we agree: We are more than conquerors through Jesus who loves us! Romans 8:37 will be our shared point of reference through all that awaits us at Concordia in 2018–19. In the pages of the fall 2018 issue of the Concordian, you will glimpse women and men living uncommon lives of service to Christ in the Church and world. A faculty member from the School of Pharmacy engaged in research to develop safer painkillers and help beat our country’s opioid crisis. Professor Chris Cunningham is a “rock star” but in a way much different from what he once imagined. A group of baseball players that reached out and befriended a Bethesda College student on campus to make him part of the team. Matty Van Eerden’s uncommon Concordia experience was made possible by Falcon athletes who are winners on and off the field. A young woman whose creativity and common sense is making a difference in the lives of thousands and thousands of people who read her lifestyle blog. Sophie Zang is a Concordian who has worked through personal hardships and now imparts winning advice to an eager audience. And, young alums living out our mission—in the Church—the brothers Kegley, Casey and Noah, recently ordained following their graduation from the seminary; and living out our mission—in the world—Trey Mitchell who was elected Alderman in Sheboygan, Wisconsin, at age 22 just months after his commencement ceremony at CUW. The gifts and experiences that were cultivated at Concordia are now being put to use in service to others. It is my great privilege to work each day alongside winsome people like these—folks who champion the needs and concerns of others. The fortuitous choice of the same theme verse for both campuses may be a coincidence. The assurance of the eternal and overwhelming victory that is ours in Christ, however, motivates our shared mission. In gratitude, Concordians are freed to pursue the uncommon path of dedicating their lives to make someone else’s better.